This song is spare and haunting, a massive voice in an empty room, and I have been listening to it on endless repeat lately. Folks have been urging me for months now to listen to Lissie, the girl from Rock Island, Illinois with a voice much more soulful and evocative than belied by her slight presence. A good pal put her song “Little Lovin’” on his very best of 2009 compilation mix, and I knew she was in town to open for Ray LaMontagne but I missed her. So after peripheral glances of her might for months now, I’m glad I finally took some more time to listen. This song reminds me of a combination of Mazzy Star and the echoey space in the Serena Ryder cover of “Funeral.” Listen for the three-minute mark to really get your socks knocked off. 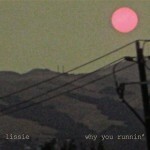 Lissie’s debut EP Why You Runnin is out now on Oxford, Mississippi’s Fat Possum Records. You should probably also check out her Daytrotter Session. no kidding heather… sometimes i think that you look for music that will make me feel like i’ve been kicked in the chest repeatedly – and i thank you for it everytime! AMAZING- thank you again and again for introducing me to such amazing voices and sounds. hey kelly, thanks for taking the time to say that today. comments like that remind me why i share stuff on here. The audience’s absolute rapture while listening to Lissie perform solo (opening for Ray LaMontagne) isn’t something I’ve sensed at a show in years. Just you wait! My wife and I saw her open for Ray LaMontagne @ Ellie Caulkins in November. She was amazing! My wife met her after the show and said she was very friendly and appreciative of the praise she was receiving. Great track. It’s nice to hear her with a band and a fuller sound. I found her music a while back with her first Daytrotter session (“Say It Loud” should be listened to every day upon rising) and felt she not only had a voice that stopped me in my tracks, but was also a storyteller worthy of my attention. Thanks for sharing! As everyone else has said, a beautiful voice but does anyone else hear coldplays the scientist right from the start of the song. that said its still a great track and im sure if she was touring with ray she has got to be good. keep up the good work. people like you keep people like me smiling. Lissie is an amazing talent. I think she’ll find a lot of success in 2010. We did a live session with her back in November that was a total blast. I only wish she gave us an “Oh Mississippi”…love that tune. Wow!! I absolutely LOVE your blog, and her voice is pure and gut-wrenching. Just what I needed. I really dig a record that came out in 2008 by DJ Morgan Page called “Elevate”. 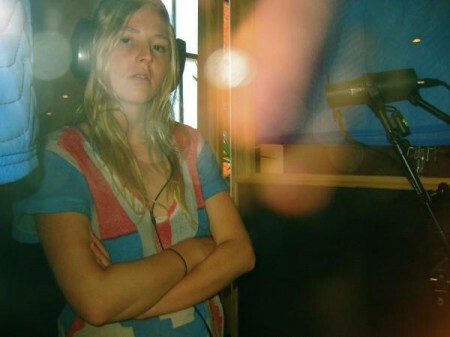 Lissie provides vocals on the first track, “The Longest Road”… wicked song. There’s also a version that’s revamped even more by Deadmau5. Check both out if you haven’t heard. I’ve been waiting to hear more from Lissie for some time now. Thanks for this sharing this gorgeous track! I played Lissie’s track as I was warming up the ‘puter this morning and in the ensuing silence after I keep hearing the echoes of her mesmerizing voice/performance. Awesome. I’ll add my voice to the chorus, Heather. You continue to be one of my top sources for excellent new music discoveries and music news. Thank you so much for coloring the pages of my days with great musical complements I wouldn’t otherwise discover. Could not agree more with kelly’s post. Heather is the greatest DJ….Thanks so much. This song was used in the closing scene of the series finale of Dollhouse. I thought I was hearing the band Innocence Mission. If you like Lissie you should seek out Innocence Mission. kind of reminds me of old school neko case, no?